Finding connections to help your business or non-profit grow! At Correlare, we support those that support others! Gabrielle Ferrar opened in 1989 and is operated by the mother-daughter team, Madeleine and Lisa Nolta. They share a love for jewelry that is reflected in the craftsmanship and quality of every piece in their store. This extraordinary team prides themselves on providing customers with the highest-quality diamonds, gemstones, exceptional jewelry, and customer service. They are proud to have the highest rating from Sacramento to the Oregon boarder through the Jewelers Board of Trade. Gabrielle Ferrar holds membership to the J.B.T, A.G.TA., G.I.A, Jewelers of America, Better Business Bureau, and the International Society of Appraisers. You can order from Gabrielle Ferrar using our online catalog (coming soon), order over the phone, or visit our Downtown Chico location. It is always an honor to work with the amazing community members employed by Recology Butte Colusa Counties. With every event we have put on, Recology is always first in line to support us. Not to mention all the community support they have shown over the years to our local schools! Not only is Italian Cottage an icon in Chico, they have proven to be an icon at many local events, with their donations of gift baskets, brunch packages and gift certificates. The Katz family continues to give back to our community, and that is why we support their business. Sometimes a single persons ideas can have a positive impact so large, that they are even taken back. The founder of the Hungry Wildcat Food Pantry; Kathleen J. Moroney, must know that overwhelming, yet amazing feeling of success. The Hungry Wildcat Food Pantry sets the bar high for compassion, understanding, giving and caring, while having supplied food and self care products to students in need. Send Food our Way 1 from Shannon Marie Haller-Baker on Vimeo. Students Helping Out Peers (SHOP) from CSUC HCSV on Vimeo. Informing our community through honesty, respect and educated research, the Chico News & Review shows pride in our community and their growth. Focused on the safety of our community, and balanced with your business growth and success at the top of their list, the Chico News & Review tops our list as a vital part of what makes our community run smoothly. Orange Street Consignments has supported our business and our belief in helping others. Keep an eye out on their Facebook page for great new items and upcoming discounts on great items! Contact us at Correlare to find out how we can set up sales events to help support your local non-profit! The mission of The Yellow Door is to give support to individuals with autism and their families while promoting student leadership and involvement in the Chico community. "Make a Change in Someones Life"
The Arc of Butte County is a nonprofit, charitable community organization, on a mission since 1953 to help individuals with developmental disabilities and their families live meaningful lives! Emeline Hand of Hand Crafted produces some of the most exquisite art and jewelry we have found around. Her passion shows through in her work and the detail sweeps you away! Handi-Riders, a non-profit 501(c)(3) organization, was started in Butte County in 1981 by a dedicated group of people from the equestrian community and Butte County Schools Special Education Department. These individuals worked together to provide a unique form of therapeutic activity for children and adults with special needs: Therapeutic Horseback Riding. Handi-Riders is a PATH International member and Premier Accredited Riding Center. Our program is recognized by the American Medical Association (AMA) as an accepted form of therapeutic activity for the physically, developmentally and emotionally challenged. We are proud to have served Butte, Glenn and Tehama counties for the past 30 years. 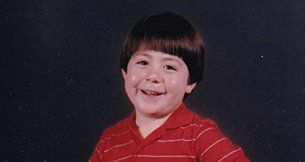 "Wings Of Eagles" is the Joseph Alvarez Organization for seriously ill children and was established in June 1993 by Georgia Alvarez in memory of her son, Joseph, who died of a very rare form of leukemia in January 1991. 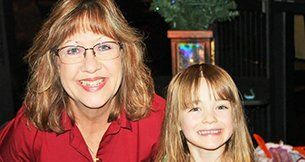 Our mission is to help seriously ill children in Butte, Glenn, Colusa, Tehama, Sutter, and Yuba counties. Since its inception, our local non-profit organization has raised over $1 million to help children in and around Northern California who have various forms of serious, life-threatening illnesses. Preference is given to pediatric cancer cases. We have relieved the financial and emotional burdens for hundreds of families who have a seriously ill child. "Wings Of Eagles" is an all-denominational, non-profit public benefit corporation that is run 100% by volunteers and has minimal administrative costs. All the funds raised go directly to benefit the area families that need our support. We are a member of the chamber of commerce in Butte, Glenn, Colusa, Tehama, Sutter, and Yuba counties. Contact us at 530-893-9231 to join or volunteer. For adults with a developmental disability who want to work, your journey begins here.